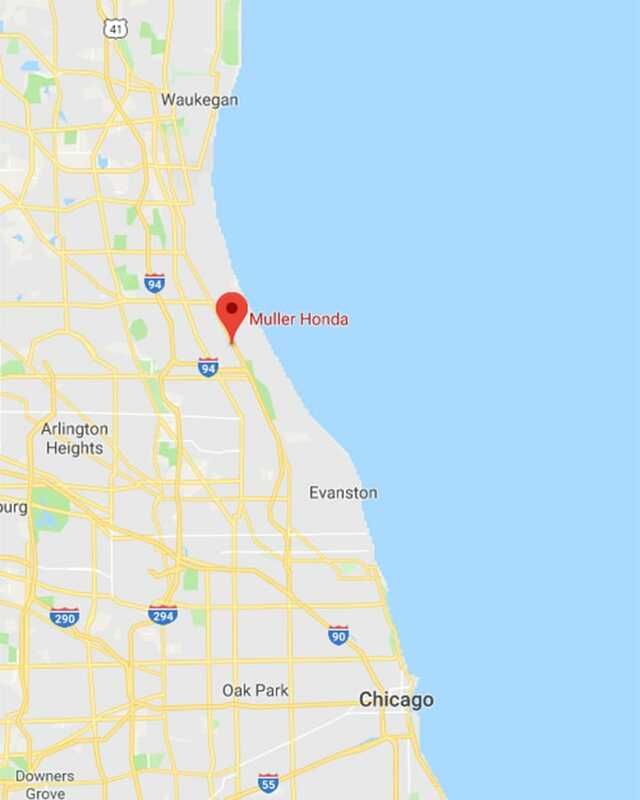 If you live near the Highland Park area, close to Chicago and Evanston, let Muller Honda be your headquarters for new and used cars. We sell new and certified Honda vehicles, as well as a wide range of quality used vehicles from a variety of carmakers. With so many places in our neighborhood selling new and used vehicles, you might find it challenging to select the best car dealer to visit. We at Muller Honda are constantly working to earn your business by stocking our lot with quality new and pre-owned cars, SUVs, crossovers, trucks and more, all at affordable prices. We do everything possible to have you drive out of our dealership with the perfect vehicle for your personal needs. When you buy a new car, you get a vehicle that is factory fresh. You have no worries about its history and maintenance. Nonetheless, our factory-trained and certified technicians go over every new vehicle with a fine-toothed comb to ensure you are getting on in perfect condition. You are also getting the newest technology and design features from the carmaker. New cars come with the best warranties, and they confer a pride of ownership second to none. We have a large selection of new Honda vehicles ready for your inspection and testing. You will discover many benefits of buying used cars from our Highland Park, IL dealership, near Chicago. First of all, buying used sidesteps the automatic depreciation new cars suffer when initially purchased. You’ll spend less, thanks to a lower down payment, lower monthly payments, less sales tax, smaller registration costs and less-expensive insurance compared to what you’ll spend on a new car.. Any way you slice it, it makes sense for you to buy a used vehicle in Highland Park, IL at Muller Honda, especially if your budget is tight. When you visit our dealership, you’ll find a great selection of new and certified pre-owned Honda vehicles as well as a variety of vehicles from virtually every carmaker available in this country. While low prices are an important, we at Muller Honda know that the perfect car involves other factors as well. That means quality new and used vehicles you can trust. Our Service Department’s factory-trained technicians are here to provide outstanding service on the any car you buy from us. Before we put a vehicle up for sale, our technicians thoroughly inspect it to make sure it measures up to our high Muller standards. We want you to buy a vehicle from us that will give you many miles of perfect performance. It's all about location! It's time to leave The Windy City in search of a new Honda Accord sedan or a Clarity Plug-in Hybrid. If you're looking to enjoy used cars for sale in Highland Park, IL, be sure to stop by our dealership first. We offer a selection of new and used Honda vehicles for sale in Illinois. Whether you're coming from Chicago, Evanston, or Gurnee, Illinois, you'll surely find the car you're looking for at our car dealership in Highland Park, IL. You can find directions to our Honda dealer from Gurnee or Chicago now! All you have to do is plug in your address in Google maps and navigate from there. We have tons of options waiting for you, so stop by today. Stop by Muller Honda Today! We invite you to come in to our Muller Honda dealership in Highland Park, IL to view our great selection of top-quality new and used cars. We are conveniently located not far from Chicago and Evanston, IL. To arrange a test drive, call us or visit our website today!